May 12th in Theme Lists, WordPress Themes by Wordpress Jedi . 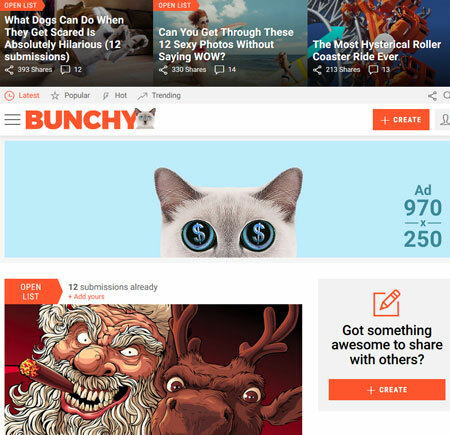 Bunchy: a viral WordPress theme that lets users create open lists and accept frontend submissions. 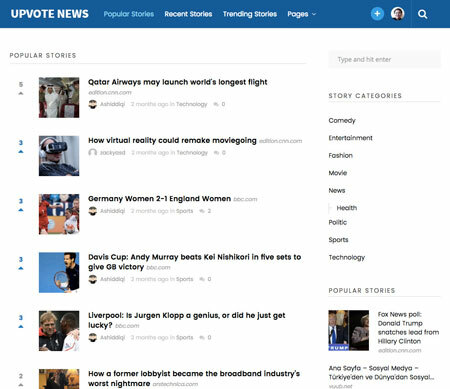 Webmasters can create listicles with images, gifs, videos, and more. 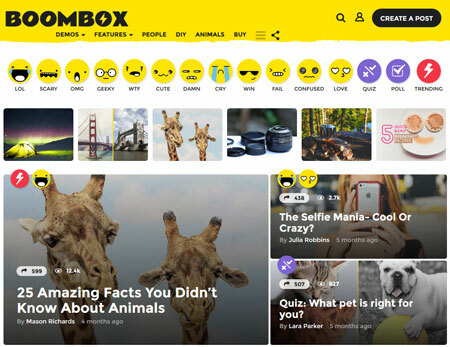 BoomBox: a viral magazine theme for WordPress with a viral content builder for sharing news, listicles, and polls, and quizzes. It has a reaction voting system, advanced GIF control, and attractive badges. UpVote: lets you create a Reddit or Hacker News style website. It has unlimited colors and a responsive design. 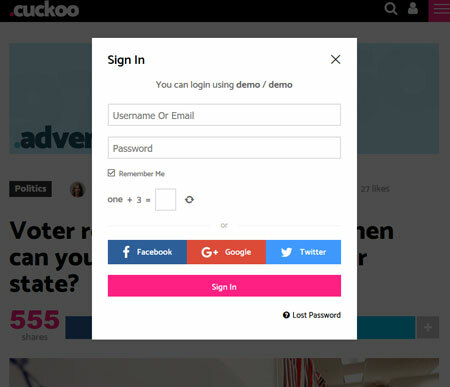 Users can sign in using their social accounts to submit stories. 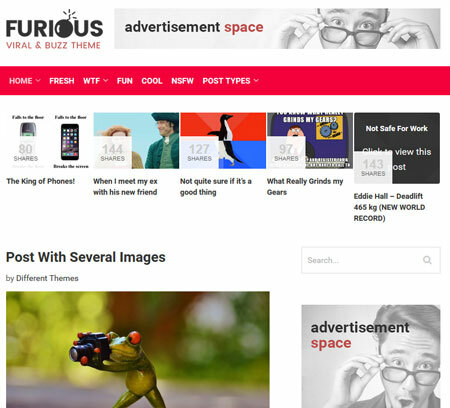 Cuckoo: a news, magazine theme with BuddyPress and bbPress integration. It is responsive and integrates with Visual Composer. 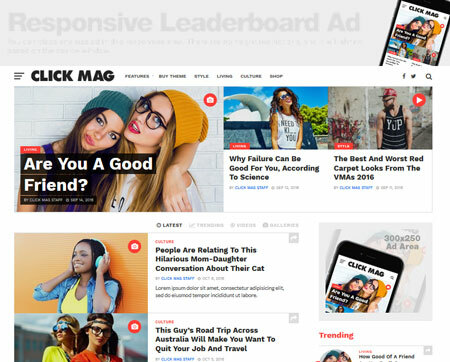 Click Mag: an attractive news and blog theme with a fully responsive design, custom fly-out navigation system, and social sharing options. It comes integrated with WooCommerce and has 7 custom widgets. 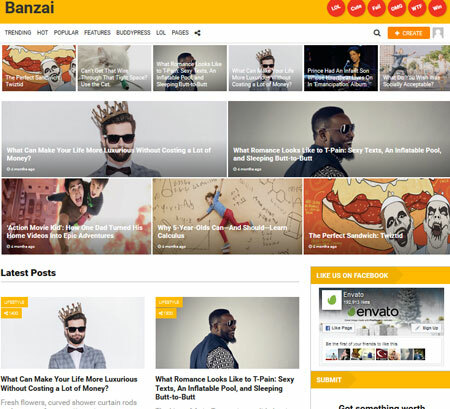 Banzai: lets you create a BuzzFeed style theme. It has 2 skins, 20+ animations for quizzes, 7 list styles, and MyCRED integration. Plenty of quiz types are supported. Furious: allows registered users to upload GIF, MP4, and other content. It also has content voting and sharing. Aruna: a retina ready theme for content sharing sites and meme portals. It has 5 homepage variations, front-end posting, a bookmarking system, and keyboard navigation. Uploader: a drag & drop theme with frontend file upload functionality. Users can upload image, video, and audio files. Maximum file upload can be limited per user. 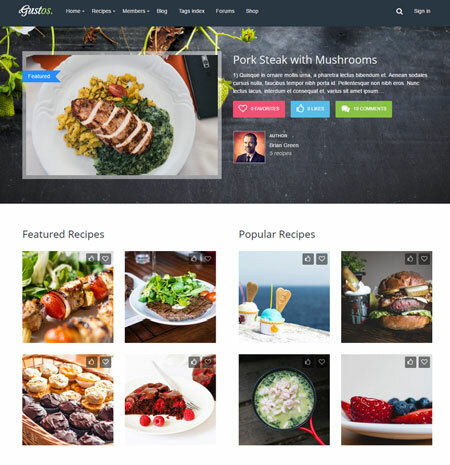 Gustos: lets you build a community-driven recipe site. You can display reputation points for each user and private message others. Have you found better themes for viral and meme sites? Please share them here.